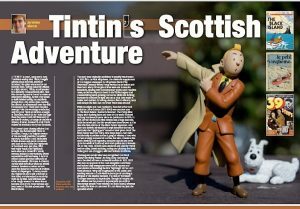 In search of Tintin: or how Arran and Barra played their part in Hergé’s best known ripping yarn! There’s something very dramatic about a castle perched on a rocky island, waves crashing against its rugged walls, its turrets defiant against all comers. Hergé, the Belgian creator of the redoubtable reporter Tintin, obviously thought so too and looked to Scottish islands for the inspiration of one of the most famous and best-loved of Tintin’s adventures – The Black Island. Hergé wanted an adventure set somewhere remote and mysterious – and Scotland’s islands provided just that. The story was originally published in 1937 at a time when the Highlands and Islands of Scotland were still little-known at first hand to most people; shrouded as much by myth as by mist. By using a small mysterious, frightening island, Hergé created the perfect setting for strange goings-on. 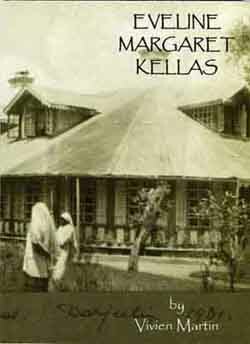 In the 1960s the British publishers Methuen asked for the book to be updated and inaccuracies in the original edition to be corrected. Accordingly Hergé sent his chief assistant, Bob de Moor, to Scotland where he visited both Arran and Barra. 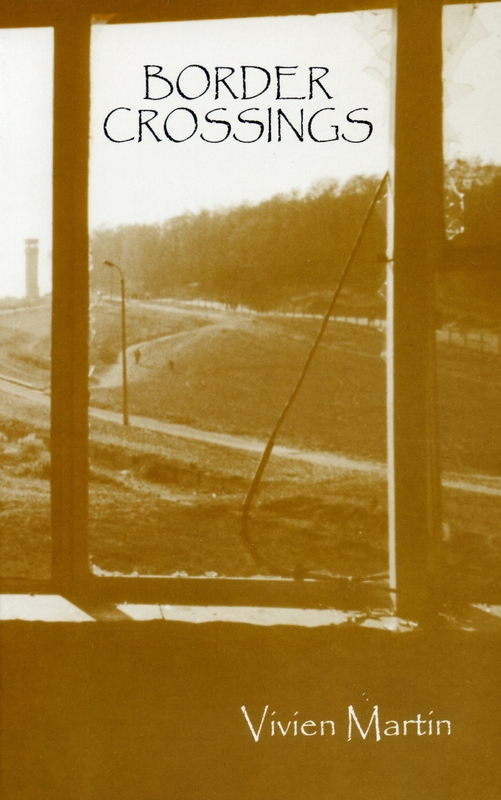 De Moor was impressed by what he saw – wild landscapes, ancient castles and remote windswept locations. And so Castlebay on Barra became the template for Kiltoch, the fictional Scottish village where Tintin ends up during his hair-raising pursuit of a gang of dangerous counterfeiters. While Lochranza Castle on Arran provided the inspiration for the ruinous and supposedly-haunted Craig Dhui Castle, perched menacingly on the mysterious and unwelcoming Black Island. Hergé’s stories were often set in real-life situations, dealing with contemporary events and headline news – as befits a reporter hero. Forgery and counterfeiting were growing concerns in the 1930s, while the growing number of light aircraft made it easier for the wrong-doers to flee to distant parts and escape justice. But obviously not when Tintin was around! In many ways The Black Island is a straightforward detective thriller, its lasting popularity boosted by the “ripping yarn” nature of its plot. Hitchcock’s film version of John Buchan’s The 39 Steps had come out not long before the first edition of The Black Island and there are similarities between the two. Both have a hero who accidentally stumbles across a gang of villains, who is then wrongly accused of a crime, but escapes capture and heads for the wilds of Scotland, all the while being pursued by criminals and police alike. Though the police in Buchan’s ‘shocker’ could never have been quite as incompetent as that pompous pair, Thomson and Thompson! Despite them however, both stories share exciting pacing and plotting, leading to a denouement in the rugged, wild and isolated Scottish countryside. 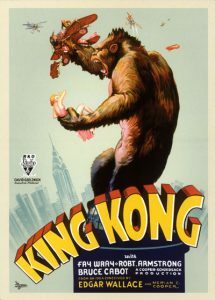 Cinemagoers would also have recognised The Black Island’s terrifying ‘beast’ as King Kong had hit the silver screen not long before. And contemporary newspapers were full of reports surrounding first ‘sightings’ of the Loch Ness Monster. In his tale, Hergé skilfully uses the power of superstition as a tool used by the villains to discourage people from visiting the Black Island, while they use the island as the centre of their counterfeiting ring. And how did this villainous band manage to get on and off the island? 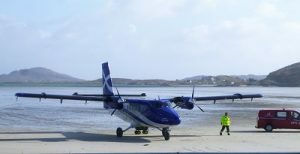 The answer to that comes again from Barra, as Hergé used the beach landing strip at Barra Airport as the model for the landing strip on the beach of the Black Island. All in all, it’s one of the best constructed and thrilling of Hergé’s Tintin canon – thanks in no small measure to the islands of Arran and Barra! 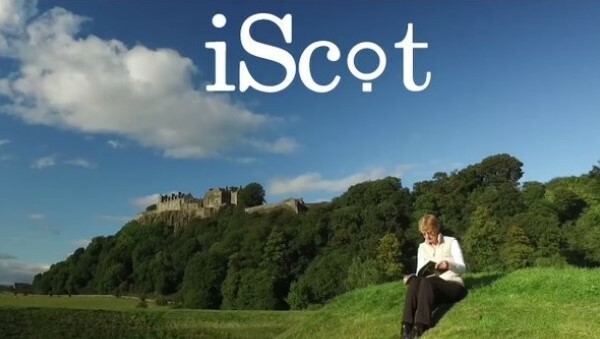 But this is just a taster, and there’s much, much more in the February issue of iScot Magazine, available from Pocketmags or from good independent newsagents. 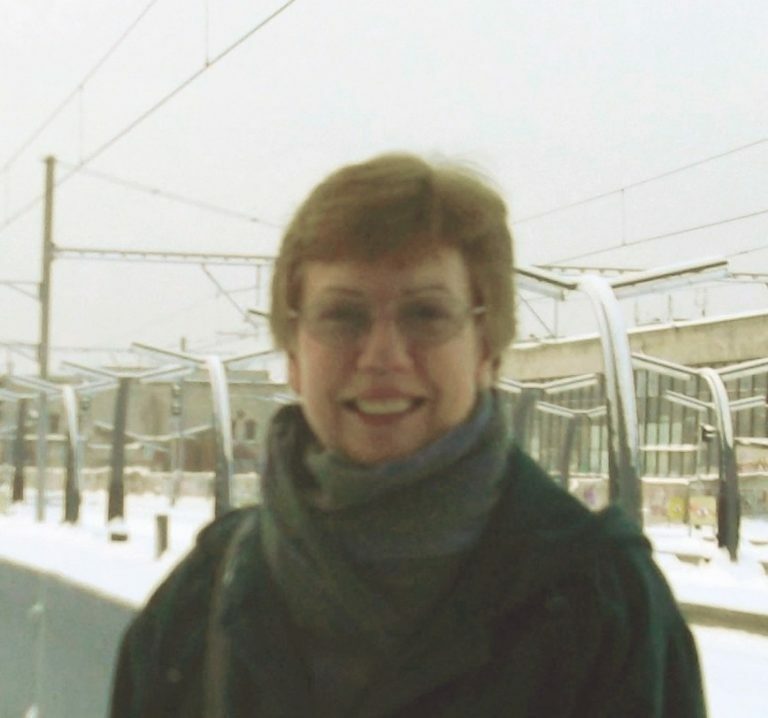 What’s in a name? Plenty, when it comes to the village of Brig O’Turk in the heart of the Trossachs! 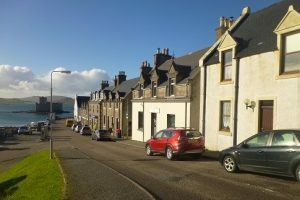 This small rural settlement has two older Gaelic names; Ceann Drochaid (end of the bridge) and Aird cheannchnocain (the height at the end of the hillock), while the present-day name of Brig O’Turk, despite how it may sound, has no connection with a distinguished Turkish gentleman! Instead it combines the Scots word brig (bridge), with the Gaelic word torc (wild boar) to give the dramatic sounding Bridge of the Wild Boar. Just some of the appetizing dishes on offer at the tearoom! But however many names the village has, it boasts one very unique eating establishment! And that is the delightful Brig O’Turk Tearoom, well-known both for its wonderful food and as a key location in the 1959 remake of John Buchan’s classic The 39 Steps. Starring Kenneth More, much of this version was filmed in and around the Trossachs with the fictional tearoom bearing the name The Gallows Cafe. It’s portrayed as a popular stopping point for cyclists (as it was in reality), and it’s from here that we see our hero make his escape by peddling off, hidden amongst a group of other cyclists, dressed in rather improbable cycling gear! There are wonderful cycle and walking routes all around this area, up through Glen Finglas and along the new Great Trossachs Path, which was opened in 2015. The Path links into the West Highland Way and the Rob Roy Way, and runs from Kilmahog, just outside Callander, to Inversnaid on the eastern shore of Loch Lomond, passing en route the lochs Venachar, Achray, Katrine and Arklet. The Great Trossachs Forest is a vast, long-term woodland regeneration project, devised jointly by the RSPB Scotland, Forestry Commission Scotland and the Woodland Trust Scotland, and offers a growing number of routes, with something for every age and ability, and is packed with information about the history of this ancient landscape. Built in 1923, the tearoom retains much of its original atmosphere, and has food to climb a mountain for! And sitting right at the heart of all this wonderful countryside is the Brig O’Turk Tearoom, run since 2011 by Csaba & Veronica Brünner. The couple have brought new life – and many new tastes – to this much-loved tearoom. So take to the hills, follow in the footsteps of Sir Walter Scott, William Wordsworth, John Ruskin, Effie Gray, John Everett Millais and his Pre-Raphaelite brotherhood, Jules Verne and very many others and come and explore the Trossachs. Then reward yourself with a visit to the Brig O’Turk Tearoom! From medieval hunting parties to whisky smugglers, cattle rustlers and those incredible dam-building pioneers of renewable energy, the Hydro Boys, Glen Finglas has seen its fair share of excitement and change. And that’s continuing today through the work of the Woodland Trust Scotland and the ongoing development of the Great Trossachs Forest. A new information centre, the Glen Finglas Visitor Gateway, has been built at the Lendrick Hill car park and is the starting point for a whole range of walks; anything from half a mile to 15 miles. There’s also an option to follow the Great Trossachs Path itself, which runs for 30 miles from Callander all the way to Inversnaid on Loch Lomond. What is it makes this area so interesting? In the early 19th century that founding father of Scottish tourism, Sir Walter Scott, immortalised both the Trossachs and Glen Finglas in his epic poem ‘Lady of the Lake’ and the ballad ‘Glenfinlas’. From that point on visitors flocked to the area, drawn by the rugged natural beauty of the hills, lochs and glens. But also by the romantic tales and legends associated with the wild landscape. This notion of the romance of the wild saw many writers, artists and poets among the visitors, including the renowned naturalist, philosopher and social critic John Ruskin, one of the most influential men of his day, and a frequent visitor to the Trossachs. I was pleased to discover that it’s once again possible to go and stand by the rushing waters of the burn at the spot where Millais painted his famous portrait of Ruskin in1853. The Great Trossachs Forest project is not a ‘quick fix’, but an inspired and inspiring long-term plan to regenerate natural woodland and habitats. We took the Lendrick Hill and Dam walk, which, at its most northerly point, looks down on the gentle curve of the dam built in the 1960s as part of the massive Scotland-wide hydro-electric scheme. The walk ends at the delightful Brig O’Turk Tea Room, well-known both for its wonderful food but also as a key location in the 1959 remake of John Buchan’s classic The 39 Steps. Starring the debonair Kenneth More, much of this version was filmed in and around the Trossachs. In one scene our hero makes his escape by peddling off, hidden amongst a group of other cyclists, whilst clad in a rather improbable fashion! The cyclists we saw that day were anything but improbable and it was great to see so many people getting real enjoyment from a trip to Glen Finglas. The world-famous Brig O’Turk Tea Room!